Apron is a girl that has too much going on in her life. Her mother died of cancer when she was young and her father is about to remarry this loser from Brazil, Margie. To make matters worse, her best friend is ditching her to be popular and one of her new friends may not survive the summer. Girl Unmoored is a fantastic story about learning to accept things that one may not be ready for. When I first read what this book was about, I wasn’t entirely sure about what type of book this was. It sounded ironic and cute. I mean, look at the cover: I immediately think, cute. After reading it and being very wrong on the first impression, I discovered that Girl Unmoored is so much more than cute, it details this young girl going through some mature situations and dealing with them the only way she knows how. There was such a diverse mix of characters. Mike was Apron’s savior, quite literally, and was easily one of the nicest characters in the book. Mike’s partner, Chad, was sick with AIDS and after Apron had to watch her mother go in a similar fashion, the parallels between the two helped Apron grow. Apron’s father was a Latin professor, teaching Apron the language every chance he got, even to speak things that he was too ashamed or upset with to say in English. Apron was our narrator, whisking its readers on a ride of emotions. One problem I had with the book was that, at first, I could not figure out how old Apron was. I knew she was young but I must have missed the first time her age was mentioned because it confused me quite a bit. She would be so mature one minute and then would be worrying about something that did not concern older people. To clear up anything, she is in seventh grade and it is almost the summer. I had to come back to this mental note again and again, because she deals with so much more than a normal seventh grader and that component is what made the book shine most for me (not that she dealt with these situations at such a young age, but how she thought and felt about these events). Hummer knew how to make these awful circumstances and tragic events seem real. I struggled in the beginning, not really latching onto the book as much as I had hoped. By the end, however, I was to tears; Girl Unmoored moved me deeply and refused to let me go until the very last page. 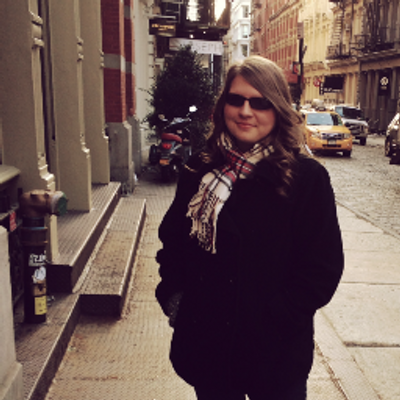 Jennifer Gooch Hummer took something that may or may not have happened to some of us, and turned it into a seventh grader’s struggle to discover where she stands in the world. 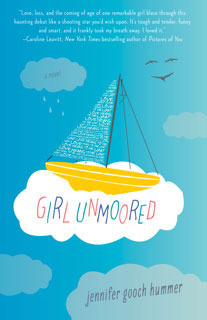 Girl Unmoored is a coming of age story with a young girl, Apron, who needs to be saved. This story will take its readers on a rollercoaster of emotions and leave them crying by the end. Rated PG-13 for domestic violence. I love reading and I love bucket lists! I think i should follow your blog!